Cornelia "Nellie" Lehn: conference worker and writer; born 15 December 1920 in Leonadewka, Ukraine, the youngest of five daughters of Gerhard G. Lehn (27 March 1881, Kronsgarten, Chortitza Mennonite Settlement, South Russia - 1 March 1970, Chilliwack, British Columbia, Canada) and Sara (Ens) Lehn (17 February 1886, Kronsgarten, Chortitza Mennonite Settlement, South Russia – 9 March 1933, Hanley, Saskatchewan, Canada). Cornelia died 2 July 2005 in Abbotsford, British Columbia (BC), Canada. Cornelia’s parents, with their four daughters, immigrated to Canada in June 1926. They settled on a lonely farm near Hanley, Saskatchewan. Eventually the family moved to British Columbia. Cornelia was baptized in the Greendale First Mennonite Church in 1941. Cornelia worked in an office in Vancouver prior to volunteering for overseas service with Mennonite Central Committee. She spent some time with refugees in Gronau, Germany. On her return she attended Canadian Mennonite Bible College, Winnipeg and Bethel College in Newton, Kansas, and earned a masters degree in journalism at the University of Iowa. She was excellently qualified to take on the work of editor of Sunday school material for the Commission on Education of the General Conference Mennonite Church, working from Newton, Kansas. Her work took her as lecturer to promote the material throughout North America, South America, and Germany. She was not only a writer, but a gifted storyteller. Cornelia wrote a number of books: God Keeps His Promise, Peace Be With You, I Heard Good News Today, The Sun and the Wind, and The Homemade Brass Plate. 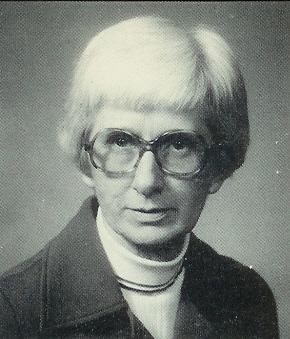 In 1989 she completed a history of the Conference of Mennonites in British Columbia, Frontier Challenge. Nellie was a cheerful, friendly person, outgoing, well liked and respected. She had many friends and valued them all. On her retirement to Chilliwack, BC, her services to the Greendale First Mennonite Church included acting as deaconess, leading women’s Bible study and being a faithful attendant at church services. Retirement years were spent with her sisters, Tina and Sara. After Tina’s death in 2003. Cornelia suffered the trials of broken hips and lengthy convalescence, lovingly supported through it all by her sister, Sara. When Sara’s health also began to fail, they found comfortable rooms in the Eben-Ezer Home in Clearbrook. Chilliwack Progress (2 July 2005). Thiessen, Richard D. "Lehn, Cornelia (1920-2005)." Global Anabaptist Mennonite Encyclopedia Online. May 2008. Web. 25 Apr 2019. http://gameo.org/index.php?title=Lehn,_Cornelia_(1920-2005)&oldid=136154. Thiessen, Richard D. (May 2008). Lehn, Cornelia (1920-2005). Global Anabaptist Mennonite Encyclopedia Online. Retrieved 25 April 2019, from http://gameo.org/index.php?title=Lehn,_Cornelia_(1920-2005)&oldid=136154. This page was last modified on 4 October 2016, at 22:05.